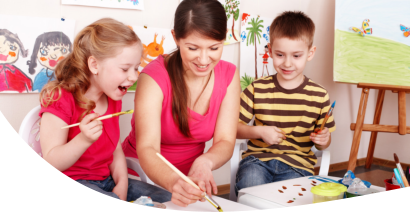 At Fior Daycare, we believe that learning and fun can come hand in hand. Which is why we offer fun and exciting activities that are designed to capture your child’s imagination and promote their physical, emotional, and social growth as well. We offer Activities such as arts and crafts, dramatic plays, dance activities, reading and story times, playground play, out-of-school tours (e.g. to museums, etc. ), and more. At Fior Daycare, we believe that children learn best when they are able to have fun too! If you have activity suggestions or concerns, please don’t hesitate to let us know. Please call us at 917-667-5684 or Set An Appointment to speak with one of our representatives.